As an important part of the body’s immune system, tonsils and adenoids function a lot like the glands in your armpit, neck and groin. They are your main protector when it comes to the immune system, yet can sometimes become a bit of a liability depending on the situation. Because your tonsils and adenoids are such vital parts of your immune system, our experts at Santa Cruz Ear, Nose and Throat Medical Group are versed in treating many of the common issues and ailments of this delicate system. Tonsils can visibly be seen in the back of the throat while the adenoids are situated behind the nose near the roof of the mouth. These great protectors have their flaws, so what is it that affects them? And when should you see a doctor about issues that arise? There is no surefire way to know if you need your tonsils out without seeing a dedicated professional. However, there are warning signs that something may not be right with your tonsils and adenoids. Difficulties swallowing partnered with a sore throat is a good indicator, but can often be confused with the flu. This is further complicated by other viruses that can cause temporary inflammation in the throat. The difference between the temporary effects of a virus that causes symptoms and bacteria is that the former may require more serious attention. The attention received can be something as simple as antibiotics or a serious surgery that completely removes the affected area. Since the tonsils will always be in harm’s way in order to protect you, then the best way to pay them back is recognizing when they’re weak. You should also make it a point to stay away from things that makes tonsils weak. When you have the cold or the flu, your tonsils will work overtime to keep the worst away. Adopting the BRAT diet during these episodes is a great way to repay the good will of your tonsils. If it is easy to swallow and provides relief while going down, then add it to the list of foods to have while your tonsils are suffering. When the tonsils become overpowered by the very germs they were made to protect you from, you become at risk for a condition known as tonsillitis. An inflamed tonsils goes from the role of protector to infected, a condition that is very common. It mostly occurs in children, yet also can affect adults. Although there are several causes of tonsillitis, the main symptoms remain swelling of the tonsils to the point where it can block airways. There are a laundry list of side symptoms associated with tonsillitis that may scare the average person. The most noticeable are tenderness in the throat, loss of voice, difficulty swallowing and a swelling around the neck or jaw. There are many more, but consider these the telltale signs that something is not right in that area. Things can get especially crucial if the child or adult has a loss of appetite due to these symptoms. The tonsils are swollen because they are fighting infection and became overloaded. So missing out on important vitamins and minerals in foods that would help fight the infection further will only worsen things. The time will come when a doctor will make the final call in deciding to treat a troublesome tonsil. Treatments are largely dependent on what caused the inflammation, and how serious it is. Quick tests can determine the root cause of the inflammation, and can be done with something as simple as a throat swab culture. For those seriously afflicted that have to go a step further, what are the options? Medication for tonsillitis only becomes an option if it is caused by strep bacteria. In this case doctors would prescribe an antibiotic in order to prevent further complications. Tonsillitis caused by other means does not require a prescription, and it is instead recommended to resort to medicine only for comfort reasons. In this case over the counter pain medicines and vaporizers are the perfect match. Throat lozenges are a consideration, but be careful with some off brand types that add extras which may irritate the throat. Stick to natural throat lozenges if possible, or Halls brand. Tonsillectomy may be needed and is a surgery that removes the tonsils from the body. With the tonsils being such an important part of the immune system, this should be considered a last resort. Technology has advanced beyond the traditional scalpel and gives patients surgical options like radio waves, ultrasonic energy and even lasers. There are benefits and drawbacks of each type, so pay special attention to your doctor when they go over your surgical options. Not all listed methods may be available in your current situation. As an outpatient procedure with anesthesia, patients are expected to go home during the same day it is performed. Full recovery from the operation takes about 10 days total, and for patients that have lingering pain after the surgery there is the option of pain medication. The pain medication usually won’t be necessary if proper rest and good care is taken after the surgery. Tonsillectomy is a low risk procedure where the only downside is having to do without dairy for a while. On the serious side of things, it is a life saver with very little downside. When adenoids become too large, removal through surgery becomes an option just like tonsillectomy. Adenoids differ from tonsils in that it is possible to have enlarged adenoids from birth, something that is associated with ear infections. 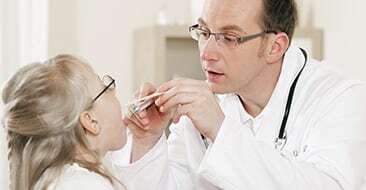 Otolaryngologists are doctors who will most likely be the lead when it comes to the adenoid procedure, and can fill you in on important details about the operation. To avoid nausea, no food or drink can be consumed on the day of the operation. Early appointments are handy since the operation takes under an hour. The main difference between an adenoid procedure and a tonsillectomy is the recovery time afterwards. Although they are about equal, children and adults are monitored very closely in the after going through an adenoid procedure. Most will be able to go home on the same day after they are checked on a couple of times. Pain medication is also more likely to be needed, and can be prescribed. Due to the nature of the surgery, there are a lot of over the counter medicines that should be avoided during the recovery period of about 2 weeks. Most of these considered to be blacklisted are aspirin and ibuprofen types. Ever wonder where saliva comes from? Making up to a quart of saliva a day, the salivary glands are important in helping with swallowing, protecting teeth and it can even be considered a major part of food digestion. As another part of the body that acts as the protector, it is also prone to getting overrun. Salivary gland infections can happen from time to time, but there ways to overcome it. Salivary stones in its simplest form is a buildup of saliva in its crystalized form. This blockage can lead to an infection, so can be considered part one of the process. The most disgusting part comes when the salivary gland gets infected, leading to pus being drained into the mouth. It sounds as bad as it tastes, which is why it also causes bad breath. Salivary gland swelling can also occur in relation to the Epstein-Barr virus, human immunodeficiency virus, cysts and even tumors. Getting back to the ways to overcome it, there are more straightforward processes to dealing with it than with adenoid and tonsil infections. Less serious infections can rely on manual removal of the stones or warm compresses. When it gets to the point where surgery is an option, it either has to do with larger than normal cysts or a benign or malignant tumor due to the salivary gland infection. Salivary glands are the least complicated to deal with but can also be the most dangerous. Pay attention to the warning signs and see a doctor when necessary so that symptoms don’t go from manageable to worse. Tonsil and adenoid health is a crucial part of our body’s immune system and can greatly impact our overall health. If you think you might be suffering from constant throat or tonsil ailments, contact our office to schedule a visit with one of our hearing specialists!